We supply hundreds of motor and motor generator products for military and commercial aerospace and industry. Our motors and motor generators frequently incorporate feedback sensors such as tachometers, encoders or brakes. Motor pinions and/or gearheads/gearboxes can be combined for high-torque actuation systems. We can combine electronic controllers with our motors for specific applications. We offer unusually-versatile motor design. For example, we recently delivered a 14" diameter, high-performance, low-vibration motor for a submarine application. These can be adapted to space applications where low vibration is a common requirement. 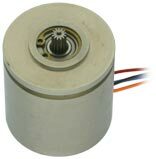 Our standard motor line is from 0.75" diameter (size 8) to 1.75" diameter (size 18). 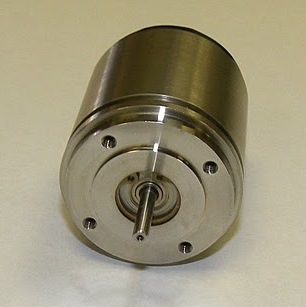 We manufacture motors as small as ½-inch-diameter (size 5) or smaller and as large as 9" diameter. We would be pleased to quote the various motor types in the smallest sizes. See Servo Motors, Brush Motors, Synchronous Motors, Hysteresis Motors and Motor Generators.